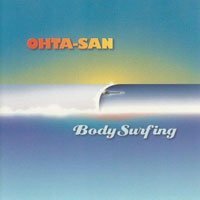 If there’s an Ohta-San classic that should be part of every ‘ukulele player’s repertoire, it has to be Body Surfing. This is a mostly-easy ‘ukulele tab great for beginners looking to get into melody playing. The simple piece is a perfect example of everything an ‘ukulele instrumental should be: great chords, a catchy melody line, and a ripping solo. There’s something for everyone here. Like most people who jam this song, Ohta-San’s version is not the one I learned from. Everyone plays it their own way and the interpretations I grew up emulating were a little more contemporary – Da ‘Ukulele Boyz, Aldrine Guerrero, the boys from Ka’u, even Herb Ohta Jr. after he recorded it with Daniel Ho. But they all follow the same core melody and chords. With this tab, I decided to transcribe Ohta-San’s original track note-for-note. This includes his epic solo that I had a hard time figuring out! The rhythms he plays are incredibly nuanced. The A, B, and C parts should sound instantly familiar to anybody who knows any version of Body Surfing. The good news is that they are relatively easy to play too! The challenge comes with the middle section of the song where the solos take a left turn. Listen to the recording a few times before you even pick up your uke to try them. Once you do, be mindful of where the phrases pick up inside the bar – it’s never on the 1 like you’d expect!